Ready-made companies or shelf companies as they are known, are already registered firms which are kept on a “shelf” until they age. There are varied reasons why entrepreneurs from abroad choose this kind of entity as a suitable start for their activities in the market in the insular state. One of the most important has to do with the longevity of the company: this allows for greater credibility, with no risk of the company having bad credit, because of the fact that it was incorporated but not used for business activities up until it is purchased. Buying a ready-made company is a process that can be advantageous even in a jurisdiction like Seychelles where opening a new company can be accomplished in a very short amount of time. Investors can reach out to our specialists in company formation in Seychelles for more details on how to purchase a shelf company in Seychelles. Shelf companies in Seychelles can also be used as offshore firms and are preferred by investors who want to start their operations in a fast manner without having to wait for a normal incorporation process. Aged offshore companies in Seychelles are approved and ready to be used on the market. Please consider that once such company has been purchased, the entrepreneur must register it with the Registrar of Companies in the insular state. Furthermore, when purchasing a ready-made company, a local or an international offshore bank account must be opened. While most of the shelf companies offered for purchase by different agents have not been used for trading, it is still important to perform a due diligence procedure. Our team of agents who specialize in company formation in Seychelles can help you during this stage with complete guidance on how to choose the company and what to verify. Upon request, our specialists will verify the available public information on a company so that you can determine whether or not the investment is a safe one. Choosing a company that has already been incorporated is almost always a simple procedure, however, a few precautionary steps can help entrepreneurs protect themselves from an unwanted bad investment. Our company formation agents in Seychelles can assist all clients interested in purchasing a ready-made company in Seychelles with complete information about the ownership transfer and the related documents. Credibility: a company that has been incorporated for some time, a few years for some of the available business entities, will create a different appearance that may increase the client’s business confidence. Partnerships: likewise, potential business partners may be more inclined to do business with a company that has seniority rather than a newly incorporated Seychelles offshore company. Financing: a company that has longevity and no bad credit can have easier access to investment capital or corporate credit. Set up: the company formation in Seychelles is a simple process even when not choosing a ready-made company, however, in this case, some of the business decisions have already been made and can save time; for example, the buyer will no longer need to verify of a specific business name is available. Establishing business relations for international trading from Seychelles may be easier when entrepreneurs operate via a company that has been incorporated for some time. These types of companies are usually immediately available for transfer and entrepreneurs only need to handle a few key steps before they are in the possession of the company (as described below by our agents). It is important to note that most agencies that sell companies in Seychelles will offer a certificate of non-trading. It is recommended that investors ask for these certificates, as they are a guarantee that the company has remained inactive. Entrepreneurs looking to open a Seychelles offshore company can reach out to our agents if they believe that this type of ready-made business entity will suit their business needs. Shelf companies can be purchased from accredited companies specialized in offering business registration services. A sale-purchase contract will be signed followed by the transfer of the company to the new owner. - the internal regulations of the company must be prepared and registered with the Trade Register. These changes can be completed once the Seychelles shelf company is bought. What are the main uses of shelf companies in Seychelles? - for online activities, such as e-commerce and internet trading. Our advisors in Seychelles can offer more information on the uses of shelf companies and company formation services in Seychelles. Why buy a shelf company in Seychelles? Before we mention the advantages of a shelf company in Seychelles, we remind that such business entity can start the activities once all the documents have been signed and received, whether you are a local entrepreneur of from overseas. A ready-made company in Seychelles has never been used, it has no activities, and therefore no liabilities or debts. Offshore ready-made companies in Seychelles are purchased in complete confidentiality, and details about the name of the proprietorships will not be publicly displayed and will not be accessed by the authorities in Seychelles. Buying a ready-made company in Seychelles can be useful for particular types of activities for investors who need to enter into a certain business immediately. For example, when they choose to purchase a company that has already been established, they can immediately enter into an agreement or contract without having to wait for the Registry to issue the company’s registration number. They have the advantage of filling in the agreement with the company information available for a legal entity that has already been lawfully established. This immediate availability and the fact that the investor saves important time are some of the most important reasons why shelf companies are a popular option. When opting for a ready-made company, the buyer will receive the Articles of Association, the Incorporation Certificate and also the details for the registered office. Entrepreneurs who wish to change the company name can do so with the help of our agents who specialize in company formation in Seychelles. Moreover, we can also assist with different subsequent procedures, such as appointing new company directors. A shelf company is also one that can function with a nominee director. It is advisable to talk to our agents in order to make the transfer according to whether or not you opt for a nominee director and nominee shareholder service. This is useful for those beneficial owners who wish to maintain a high degree of confidentiality. 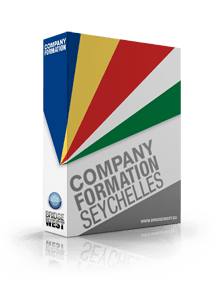 Seychelles is one of the most popular jurisdictions for offshore company formation as the International Business Company is subject to a very advantageous no-tax regime. The legal system here is simple and the fact that English is also an official language can be an important advantage for foreign investors looking to open an offshore company in Seychelles. As a short conclusion, we mention that ready-made companies in Seychelles have rapidly become popular and preferred in the insular state, due to fast incorporation and implementation in the jurisdiction, and complete credibility. For a proper understanding of how you can buy a shelf company in Seychelles and the requirements in this matter, we invite you to contact our team of agents in company incorporation in Seychelles.